Disturbing surveillance footage has been released showing the moment a teen murder suspect approached an ATM customer and shot him. Dressed in a hooded sweater adorned with a skull, the man emerges from the distance and approaches from behind, in what feels like a scene from a horror film. The released footage shows the victim Dillon Bud Calvin Steve withdrawing cash from an ATM in Miami while the gunman ominously approaches. Steve carries on with his transaction, but is seemingly ill at ease. The robber closes in and demands money. Steve realises there is someone behind him and turns to see the man with a gun in his hand, at which point he drops his money on the ground. As the robber reaches down to grab the cash, Steve tries to rush the man, but something goes wrong. While the footage of the video is not clear and we can’t hear the audio, we see Steve clutch his chest as he runs to his mother’s van and collapses to the ground with his mother in the vehicle. 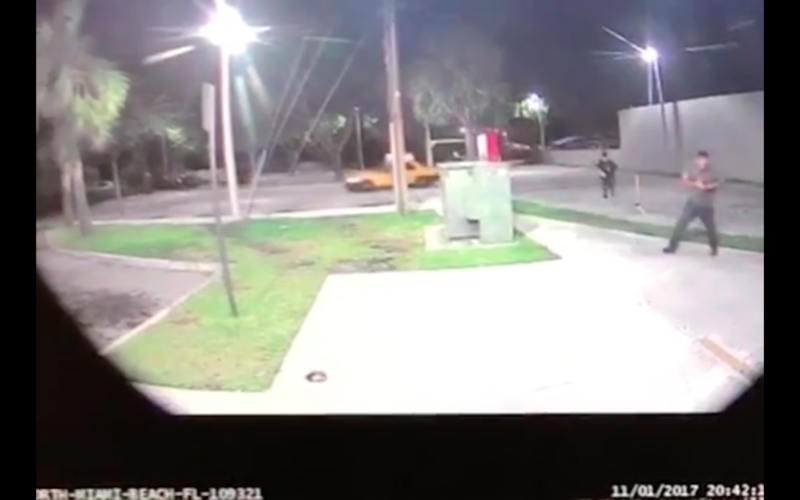 The footage was released by authorities as a Miami grand jury indicted Marcine Hill, 17, on charges of murder and armed robbery, the Miami Herald reports. That’s definitely frightful. I would only come here during the day. People are trying to withdraw money. They don’t have to be worried about somebody coming to shoot them. I thought this was awful and it was so sad for this to happen to someone. It makes me think I should only come here in the daytime. The video shows Hill’s face, and a distinctive hoodie with the phrase ‘Kill Batman’ printed on the sleeves. Steve, 26, was rushed to Aventure Hospital, where doctors pronounced him dead. 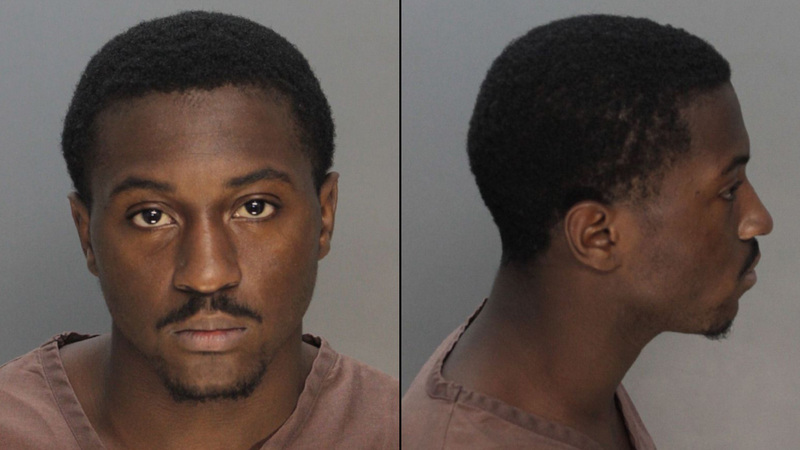 Hill fled the scene with approximately $260, according to police. It appears, at this time, he was stalking his victim. We can’t even say right now that this victim was the intended victim or just a crime of opportunity. He was wearing a black hoodie. I believe it’s an Ecko jacket. It says ‘HAHA’ on the back. It’s a type of hoodie that when you put it over your head and zip it up, it becomes a mask. Unfortunately for him, he left his face exposed, and we have it here. I have 30 detectives upstairs right now in a briefing, and we are going out, and we are gonna hunt this person down and bring justice. Hill’s lawyer declined to comment on the video, according to the Miami Herald.